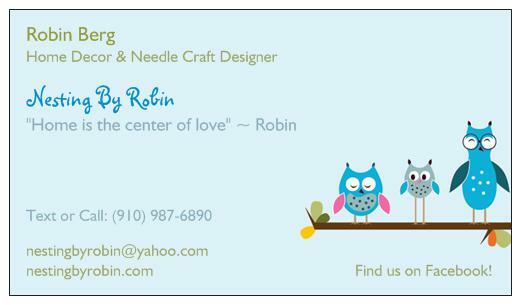 Nesting By Robin is having a three day sale on all Autumn products. We are discounting everything 20%! Sale begins 12 noon EDT today, October 10th and will end Saturday, October 12th at midnight. This includes custom design products, pillows, afghans, candle holders, hats, etc.! All products on the Fall Season page are ready to be shipped. Will deliver in the Fayetteville, NC area. Hurry, don’t miss out on this special offer. Contact by phone, email, fb, or through this website! Next Post Two Days Left!